It has been a rough week. I woke up with a sore throat the day we left DR, and that turned into a burning, itching feeling in my chest and ears, and that turned into an ear infection, sinus infection, and a very nasty cough. I went in to work on Monday, but I’ve been out since then and still have a mild fever. I hate, absolutely HATE, missing work. And I miss it a lot because I’m an asthmatic globe trotter who works with small children and library books. This combination means I pick up every germ that comes down the pipe, and I’m exposed to lots of them. Just once I’d like to finish out a year with an abundance of sick days left, rather than worrying and scrambling to have enough to make it through. It doesn’t help my professional self esteem, no matter how hard I work when I’m there. So I’ve been pretty down this week, and stressed. A very sharp contrast to how up and excited I was when we got home. But today I’m feeling up enough to blog, and I do have some things that have cheered me up today. A while back I commented on Papery and Cakery’s blog with suggestions for Niki’s European adventure. 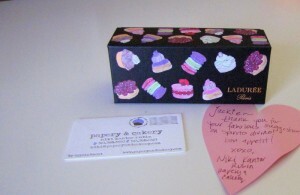 She offered a box of Laduree macaroons from Paris for the best suggestion, and I won! I suggested she check out Spirito DiVino, a restaurant in Rome that I love, love, love. And she loved it, too. And my macaroons arrived today! Yay! 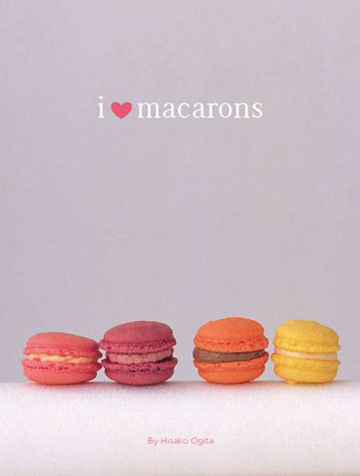 It was perfect timing because I also just bought I Heart Macarons by Hisako Ogita. I feel like everywhere I look I’m seeing and reading about macaroons. I’m getting on this bandwagon. 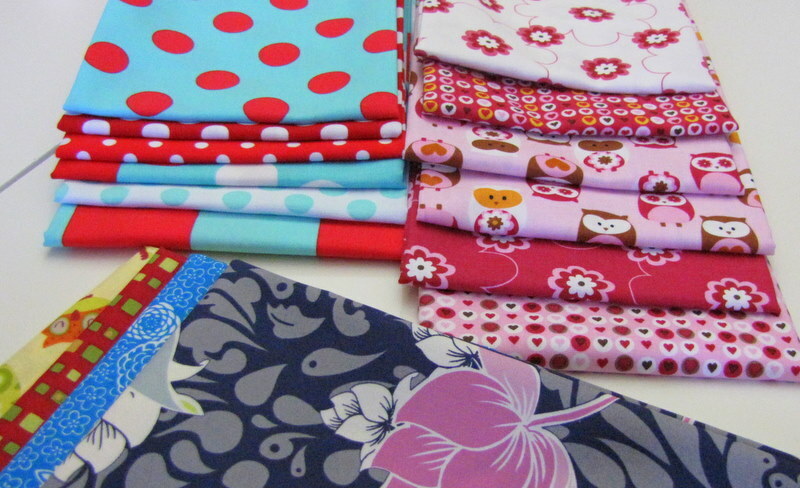 I also got more fabric this week! 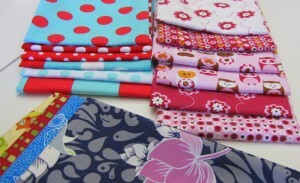 Some Plain Jane and What a Hoot fat quarters. Fabric Shoppe was giving away 4 fat quarters with any purchase, I love them.